Overly friendly snake, dancing jellyfish, water-walking dolphins and exaggerated sea lion smiles? Not a problem! 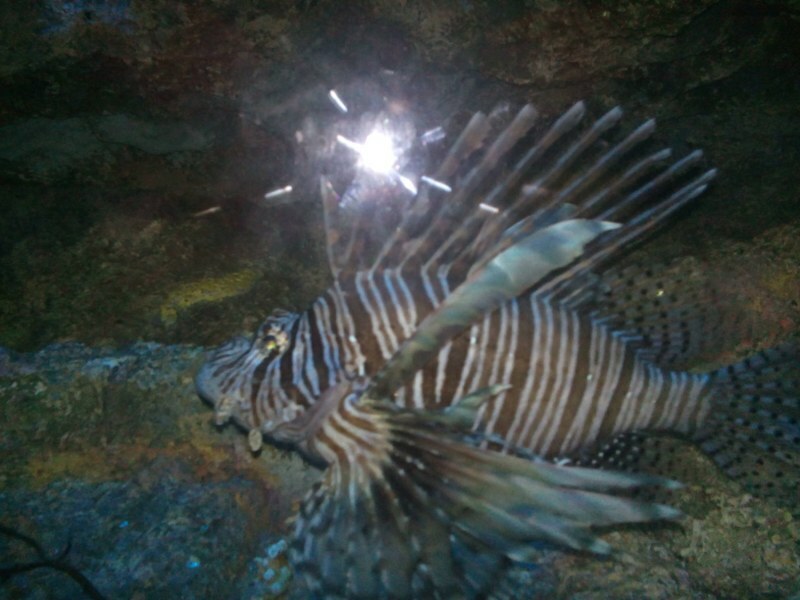 All can be found at the Asia’s first and only open water marine theme park in Southeast Asia, the Ocean Adventure Subic! (or at least what my ticket says). Do you feel tired from everyday problems? You saw yourself drifting at Subic Bay, Philippines? Well, Ocean Adventure might be added to your list to freshen up your hot body temperature! The setting is literally just near the ocean where you can freely see the dolphins, tortoises and some sharks that are maybe waiting for you be drowned and get eaten by them…. oh wait, nope! Those lovely animals are well trained and treat humans as their friends, especially kids… with foods. For starters, let’s just talk about what really is inside the famous Ocean Adventure in Subic. If you are used on living at Manila area, or some parts of the world where you cannot see a decent amount of trees and monkeys, then I guess traveling to Ocean Adventure will make your nose hair shivers because you need to travel thousands a couple of miles passing through a rain forest (17miles? ), and yes, you will see a bunch of monkeys on the way! 2. Now follow the road map given by Mr. Google by starting your departure at Harbor Point Subic. 3. Follow the road at Rizal High way and carefully turn right, not joining the stop light buddies just right at Eastern Gasoline station. That is around 4 km from Harbor Point. 4. Continue the road, you will see a bunch of cruise ships cargo ships along the road, the vast blue ocean, and some great seaside views at Malawaan Park. 5. After a few minutes of sightseeing near the ocean, head straight and you can now find some big and very tall trees just right above you! (Because the terrain here are mountainous). If you are adventurous enough, you can also visit the Tree Top adventure, and Jest Camp just near the place. You will learn to drive your nuts out of your mid. 6. Oh, an airport! 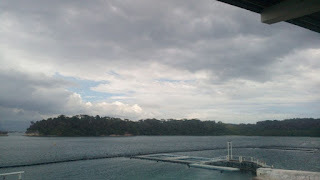 Yes, you will actually see this here, the Subic International Airport. Enjoy the sight of some luxurious private jets and Cessna 150 just parked a few feet from the road. Still, continue the trip! 7. It’s been a long time without you my friend, but you now need to turn to Corregidor road, just before you reach the end of the Airport’s runway. 8. Continue the trail, and you will find yourself alone in the road…together with some group of monkeys! If you feel like you want to experience a Walking Dead scene here, just visit here at night! It’s creepy, I say. 9. Okay, so you still feel lost? No problem, you’re just on the right track! There are no other functional roads there. Just some zombie monkeys! 9. If you can see the GIGAMARE, and the Zoobic Safari advertisement posts, then you’re just a few blocks away! Just continue! 10. 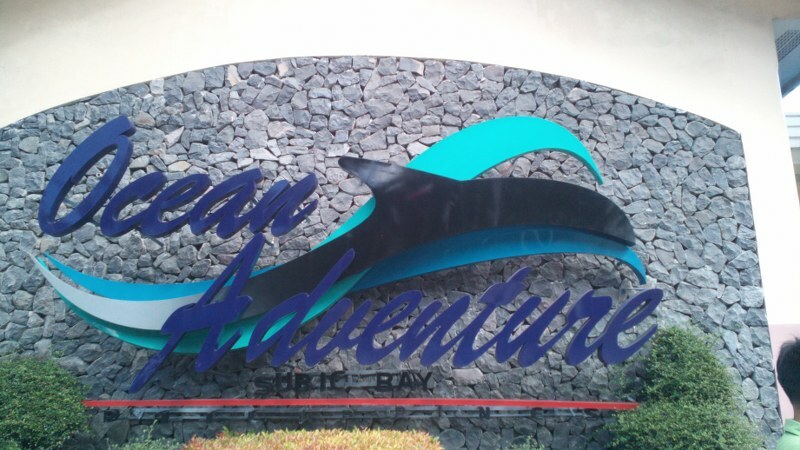 At the end of the road lies the dolphin’s lair, the Ocean Adventure! In short, Subic Main Gate > Harbor Point > Rizal High Way > Ask someone > Corrigidor High Way > You’re now Lost > Ask someone > Ocean Adventure. 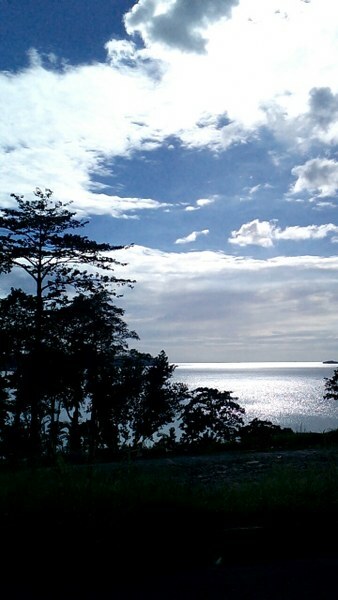 As you can see, while on the way to Ocean Adventure, you have seen a lot of crazy stuffs and good views, the point is, you’re already a winner just before going to the actual scene! 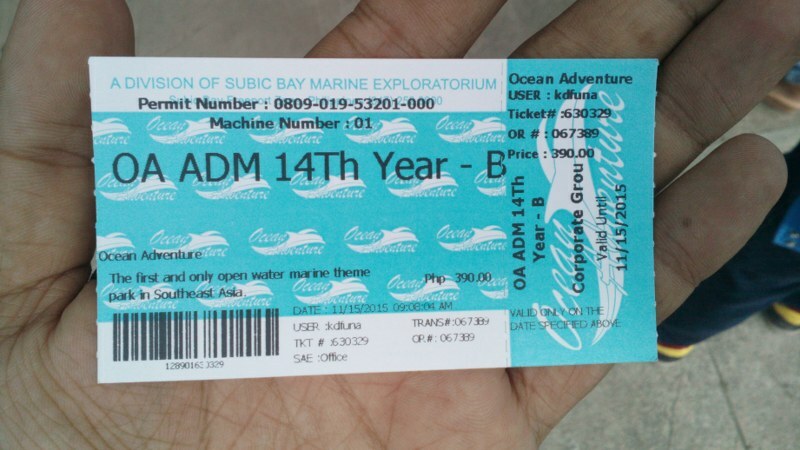 What’s inside the Ocean Adventure Subic? We had a sale ticket which cost us 390 PHP per head (9 USD). We got lucky because it was early (9 am), and there were not so many visitors on the first place. The line to enter was not too long. Were we really lucky? At nine in the morning, Mr. Sun is already working hard at November time! Nevertheless, we got inside, but FOODS. ARE. STRICTLY. PROHIBITED. INSIDE. If you have a car, leave it inside the car or just eat them before you enter the site. Water? They are allowed. Upon entering, you’ll find yourself being sniffed by the guards being checked by the person in charge to see if you had brought the illegal belongings, a.k.a food. We’ve entered and found ourselves inside a mini mart where they sell cute and cuddly dolphin tales. Just three feet away is the door to heaven, yes, the cafeteria! Everyone was happily eating their breakfast while I starve to death only wanted to have some snacks. 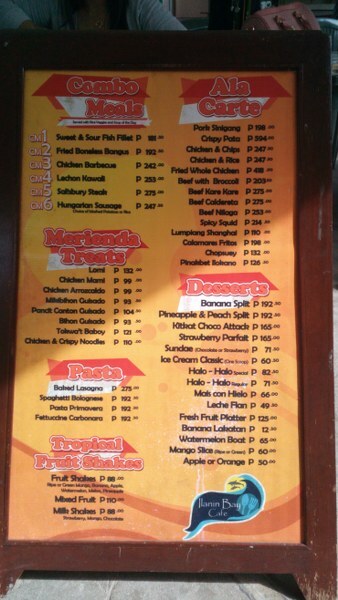 Apparently, the price were high compared to some fast food chain in the Philippines but I think their set of menu was exquisite! Lovely, I guess..
After the sightseeing, the troop leader went into us, talked to us and asked us to fall in line, yeah, just like some crazy Boy Scout’s with a march! She was holding some board with a monkey on it, and I was like, “Monkey? I thought we will see some dolphins?”. Later after 1 hour, I have learned that it was our troop name, the Monkey Troops, it was some sort of grouping. 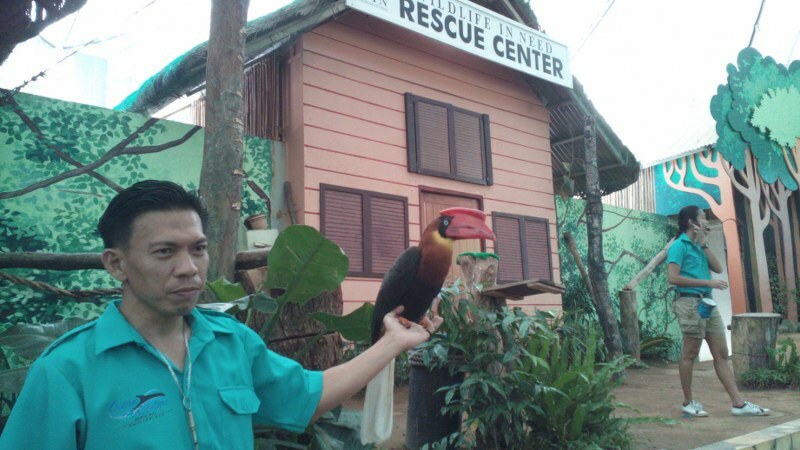 First stop was the Wild Life in Need Rescue Center. They showed us some dangerous and endangered animals that were saved from the cruel world of humans. While some vendors just pass us by in front selling some hotdog sandwich ( 50 PHP or 1 USD) everyone was in awe. Ocean Adventure Subic showed us a camouflaging owl, a cockatoo, a big bear?, a naughty snake, a trained cat and most of all, the guy who made us all laugh, the begging white dog. An awesome red beaked cockatoo. There was also a guy (a native one) who taught us how to lit a fire using some bamboo. First is to get a bamboo. Next is to get some small parts from it by rubbing a knife perpendicular to the bamboo. Lastly, get a lighter and light it all up! Pretty crazy, right? But seriously, he really taught us how to do it like a pro in a jungle. 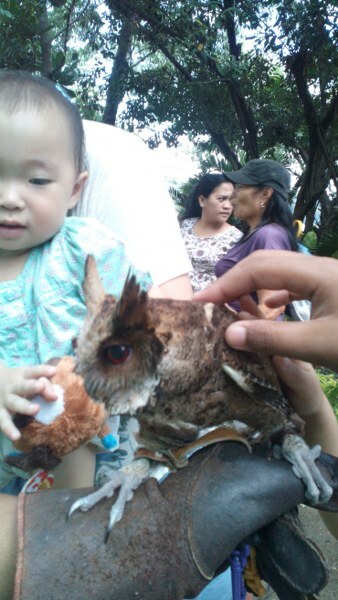 Next stop was picture taking with Mr. Owl. It was just a few minutes before the next performance will start, the Velasco Brothers! In this show, we did not saw some bats lurking around (which I thought was, because, hey, it’s all about animals, right?). But instead we saw some monkeys primates, the highest form of primates, the Homo Sapiens Sapiens, yes, humans I mean. A group of Acrobats! They were said to be famous, but, I don’t really know them. Their show was nerve wrecking, but there were some bad moves they did, and it was a hit and miss. I could not say that they did really great on that show, but I cannot also say that they did bad. It was normal for me after watching some great moves done by other acrobats. After that was break, did you brought your lunch? Did we brought our lunch? Oh yes! One should always be prepared for lunch! Show resumes at 1 PM. 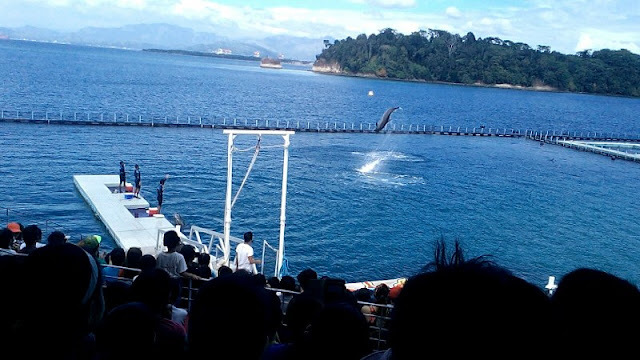 The Main Event of Ocean Adventure Subic came from the bottom of the seas, trained and safely living under the care of human—- on the red corner the dolphins! Versus the Challengers, coming from the far away island, traveled through the deep forest, the humans! It was intense, but seriously? We were put just right on the farthest side of the stage! There were around 100 to 150 people, and we were at the back, we can only see the dolphins as big as our thumb! Why is their stadium like that? 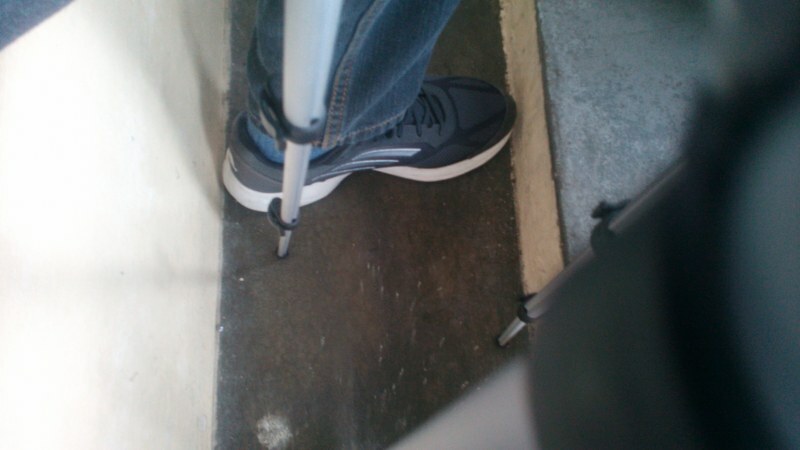 As a tall man, my sitting position was so hard, even my shoes won’t fit on the floor. It was uncomfortable, it was cramped, there were some umbrella show just right in front which blocks our view, oh come on?Is this Umbrella Adventure? My left foot and tripod’s feet, it was really narrow! 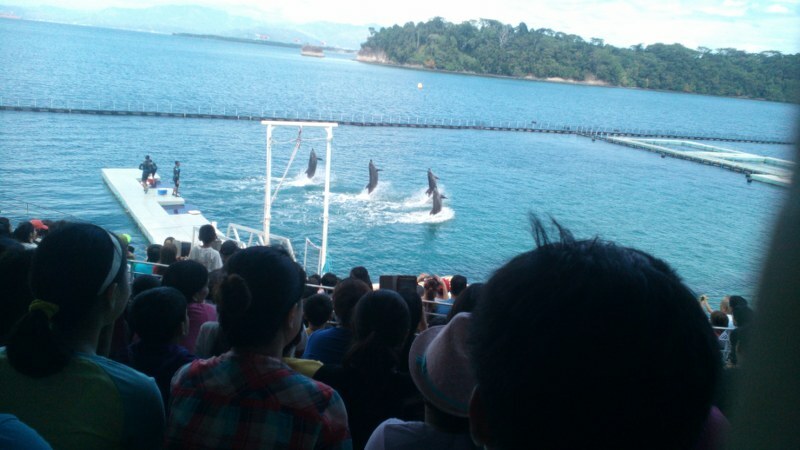 The show started, there was some kind of comedy skit that actually has a lesson regarding the marine life. The MC was great, I guess? He delivered the entire show flawlessly! His voice was topnotch as well as his lines. I also give my utmost compliment to his partner, they were a good duo. The dolphins started dancing as the skit continues. Even we were too far from them, even though they were as small as my thumb, we can still see them clearly doing their dancing moves. It was fun, and I think the children will dolphinately enjoy watching them, especially when they do their awesome dolphin tricks. For starters, you can pay from 800 pesos to 1000 pesos (18 – 23 USD) from touching to feeding the dolphins, taking selfies and so on! It is a bit expensive, but worry not, the money will be used in order to continue the medications and maintenance of the animals in Ocean Adventure. I thought it was the end of the event, but I was wrong! The next stop was the Sea Lion show. In here, the stadium was bigger than the dolphin tales. It also made me think that, maybe this is the main event since it has a bigger stadium, plus it’s the last show? 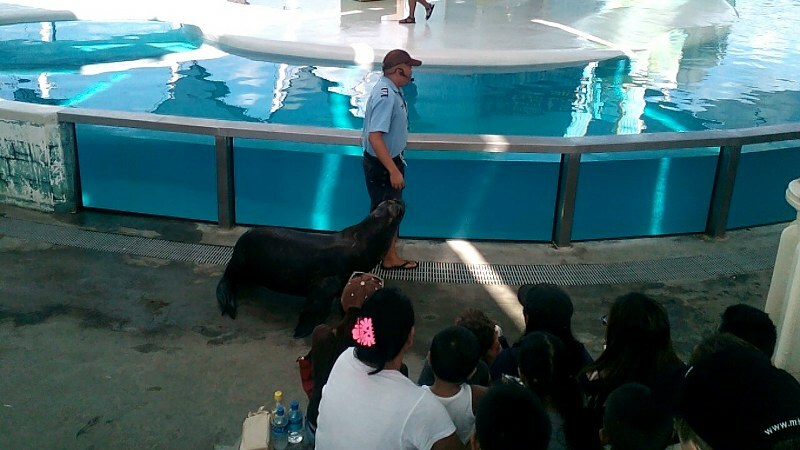 The Sea Lion Show is composed of two crazy sea lions. Just like the other shows, they also try to educate humans not to trample the ocean by recycling plastic and other non-biodegradable materials. These two lions can do crazy smiles that made their selling points. Watching them smile will just make yourself laugh until the end. That girl was kissed by the Sea Lion. These are the sea lions under water. 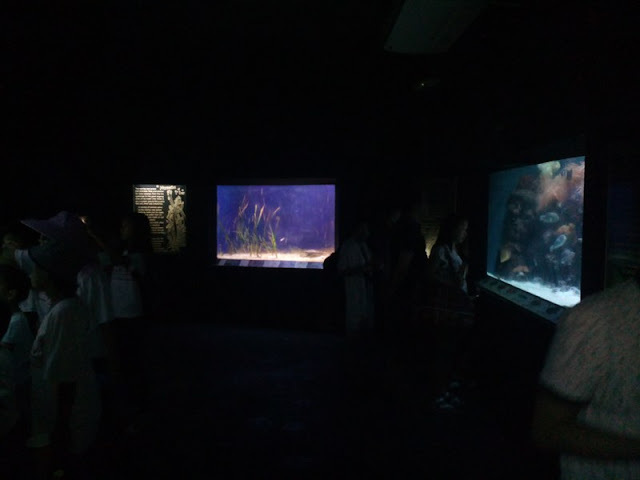 Aquarium in The Low Light. The last but not the least stop was in their aquarium. In here, you can take photos all you want, but the drawback is of low light. You can only see light coming from the aquarium themselves. Can’t do selfies? It’s your problem bro! It was fun going to Ocean Adventure, but it was not as good it was told to me when I was still a kid dreaming to see dolphins. The hype meter was not fully overflowing when I got the adventures in Ocean Adventure. Even so, I have learned a lot of things regarding the animals they use in the show. 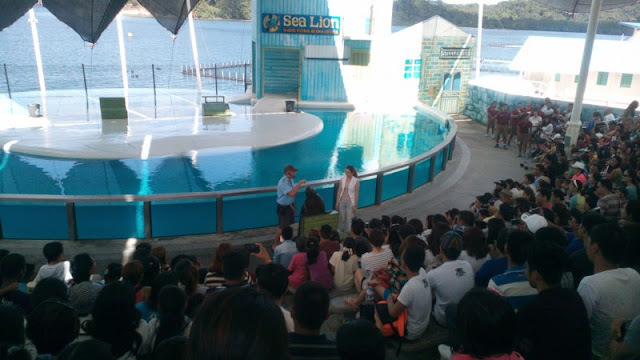 Ocean Adventure Subic uses the show to provide finance for the medications of the endangered animals. The animals that were in the show were rescued from their cruel life in nature and hostility of humanity. These kind of organization needs support in order for them to continue the maintenance, and hopefully, when the animals get treated fully, they can return to their own and true home, the wild life.